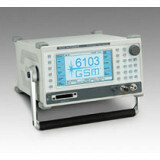 SMJ Technology - Used Test Equipment:: What's Hot! We've chosen these items for our "hot specials" page because of the exceptional value they offer: up-to-date, in excellent condition, and available now at a great price. Contact us right away if you're interested in any of these, as this kind of equipment is in great demand and will go fast! To see prices in other currencies, move your mouse over the prices shown. To enquire about any of these items, or to place an order, tick the selection boxes and click on any Enquire button. Configuration: Price shown is for bare mainframe only.